Here are three ways to tell whether participating in Black Friday is really right — or actually wrong — for you. But the nature of a day centered around shopping can almost inevitably lead to overspending. 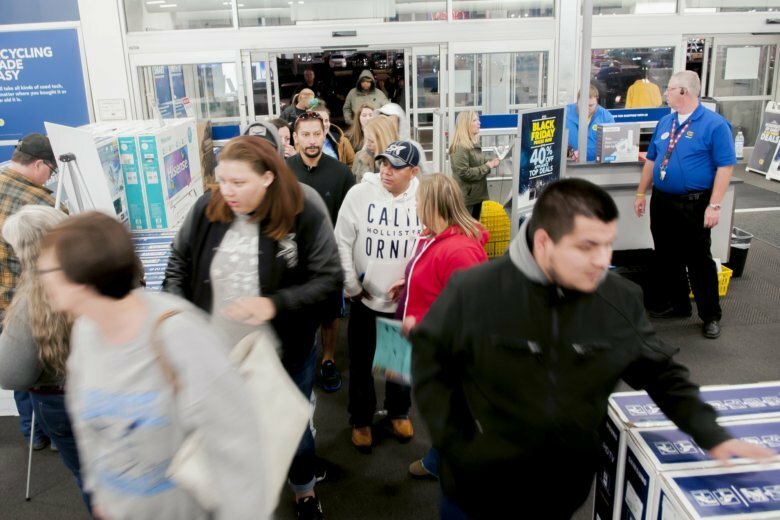 Black Friday, the day after Thanksgiving, is known for long lines, big crowds and low prices. And while the shopping holiday often does deliver unbeatable deals on things like electronics, certain items are cheaper at other times of the year. Clothing is generally a bargain on Black Friday, but some clothing reaches its lowest price off-season, according to Charlie Graham, founder and CEO of Shop It to Me, a sale alert app. TIP: Consider the items you want this Black Friday and write them down. Then, check Black Friday ads to see if those products will be on sale. Retailers usually release their ads ahead of time — online, by email or in the mail. If you don’t see what you want at the price you want, think about waiting to buy. Of those who plan to shop in stores this Black Friday, 42 percent said they plan to do so because they enjoy the in-store hype (e.g., doorbuster deals, camping outside of stores the night before), according to the NerdWallet study. Enjoying this annual tradition is one thing, but going shopping “just because” isn’t always a good idea. Even if you’ve set a budget before putting on your comfiest sneakers and standing in the cold, you may be susceptible to making additional purchases once you’re among the merchandise. On Black Friday, retailers compete for a share of your wallet, says Jeff Inman, a marketing professor at the University of Pittsburgh and editor-in-chief of the Journal of Consumer Research. Traditionally, retailers draw in Black Friday shoppers with a few great deals — called “loss leaders” — and hope they’ll buy additional items as well. Imagine going for a TV and leaving with clothing and Christmas decorations, too. While Inman says he hasn’t always seen shoppers with huge baskets on Black Friday, he does point to toys as one category where shoppers may spring for something even if they didn’t see it in a Black Friday ad. For example, while in the store, you may come across a toy and decide to buy it for your niece for Christmas. This isn’t necessarily an impulse purchase; you already planned to buy a gift for your niece. But since you didn’t know the exact item you wanted to buy, he calls selecting this toy an “impulse allocation” of your holiday shopping budget. This isn’t a problem if you can afford it, but be conscious of this possibility when you step foot in the store. TIP: Think about why you want to shop on Black Friday, and whether you’re financially prepared. If you’re not sure you can resist the temptation to overshoot your budget, consider skipping. Finally, plan your timing. With deals launching earlier each year, some Black Friday sales really happen the whole week of Thanksgiving, according to Graham from Shop It to Me. “To compete with each other, the retailers have been pushing their sales earlier and earlier during that week,” Graham says. Because of this, sometimes shoppers can get Black Friday-level prices before Black Friday. TIP: Although this might not be true for every product category, monitor sales in the days leading up to Black Friday for an early shot at a good deal. Once you decide the what, why and when of your Black Friday shopping, you’ll be able to decide whether you should join the crowds or stay on the couch.